Privacy, privacy, privacy! 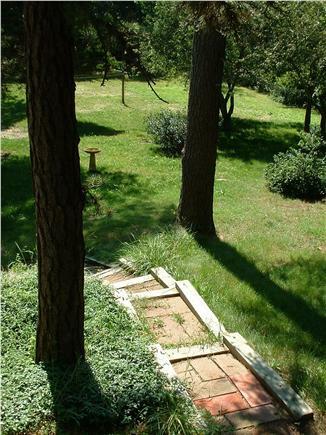 Pristine three bedroom ranch sits on a lovely and secluded .6 acre lot filled with birds, perennials, fruit trees, and towering pines. Blueberry Pond (best for canoeing and kayaking) is only a 5-minute walk away, and Nickerson State Park, with 1900 acres of forest, trails, and kettle ponds is a 10-minute walk from the house. Linnell Landing Beach on Cape Cod Bay and Cobie’s Clam Shack are 2 miles away, and can be accessed by walking or biking through Nickerson Park. 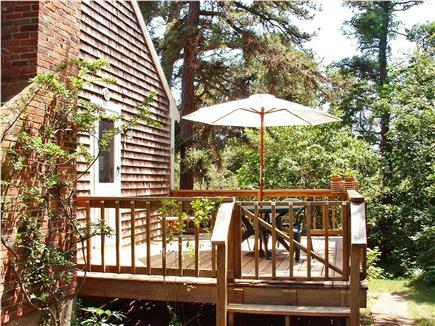 Take a dip in one of Brewster's many bay beaches or freshwater ponds, then come back for a lovely outdoor hot-and-cold shower before enjoying a barbecue on the deck overlooking flowering shrubs and pines. 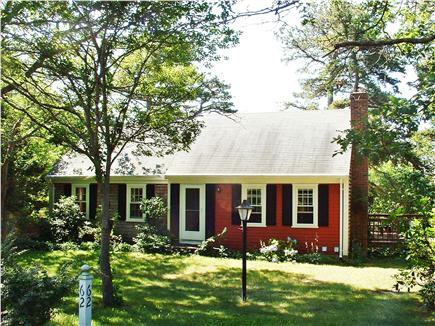 Quiet, attractive neighborhood is convenient to all Brewster has to offer. 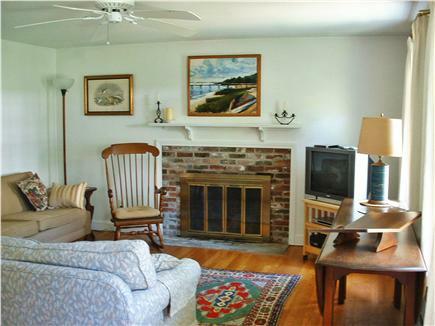 With easy access to both 6A and Route 6, you'll be near shopping, fine restaurants, museums, galleries, Cape Cod Bay, 2 golf courses, the Cape Cod Museum of Natural History, fishing and boating, the Punkhorn Parklands, and the towns of Orleans, Harwich, and Chatham. The Cape Cod Bike Trail is less than a mile away; you can easily access it via the bike paths in Nickerson Park. 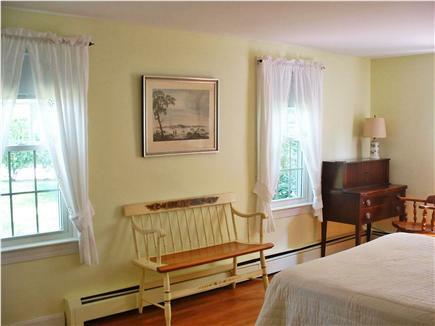 The master bedroom has a queen-sized bed, with twin beds in the second bedroom. 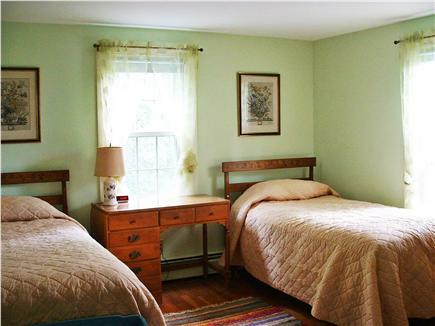 A private twin bedroom is on the lower level, with half-bath and walk-out to a beautiful yard. There is also a new and comfortable futon in a separate sleeping / reading space downstairs. New central A.C. (ductless mini-split) as of summer 2018. All bedrooms have high-quality mattresses. The new queen-size futon downstairs and the sleeper sofa in the living room can accommodate overnight guests. Hardwood floors, built-in cabinets, and fireplace grace the living room. The kitchen is fully-equipped for all your cooking and cleaning needs–new electric stove, microwave, coffee grinder, blender, toaster, mini food processor, spices, several coffee makers, dishwasher, etc. There’s a new “Smart TV” with cable and DVD player, two stereo systems, free high-speed wireless internet, washer and drier, and all bed and bath linens provided (guests must wash, dry, and put away upon departure). The house is decorated with a wonderful mix of original art, prints, antiques, and contemporary furniture. Additional availability info: Minimum 3 day stay off-season. This is a Saturday to Saturday vacation rental. Additional pricing info: 10% discount on off season rentals of two weeks or more, State and local taxes of 14.45% will apply. First floor bedrooms, first floor bath and shower; outdoor shower has seating area; downstairs is accessible from back yard as well as interior staircase. Perfect vacation in Cape Cod! Thanks for letting us stay in your house, which had everything we needed. Great comfort, tranquility of the neighbourhood, great location. Kitchen well equipped. Perfect for a family vacation. We love Brewster for the bay beaches – Crosby and Linnell were favorites – and the bike paths, all very close to the house. 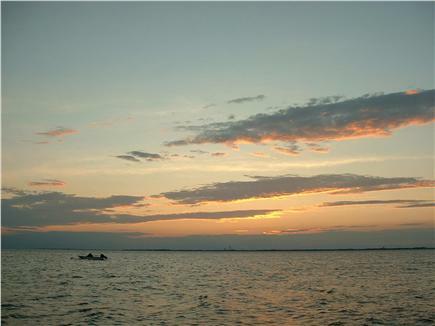 Discovered Seymour and Long Pond’s freshwater beaches. And the Cape Cod National Seashore is exceptional – the dunes, the sea. We, 4 adults, spent the 1st week of August 2015 here. The house has more than enough space, and I would recommend it for large families. Everything was clean and worked. The owner was very responsive and provided a lot of information about all the local attractions. Deck, large back yard and outside shower are perfect. Nickerson State park with its wonderful ponds is within 10 - 15 minutes of driving - the best place to swim. Ocean is 5 minutes but you have to check schedule of tides. 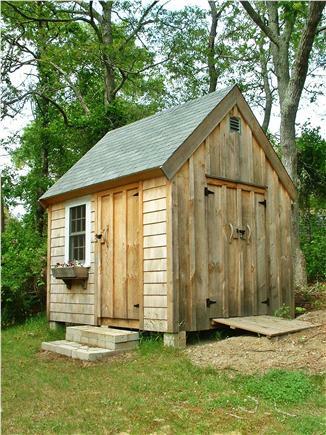 Cape Cod is full of small towns with great restaurants, lovely stores and other attractions. We really liked this vacation week. We had a lovely stay at the Birdwatchers Delight home. The house was neat and clean and provided all and more of a vacationers needs. 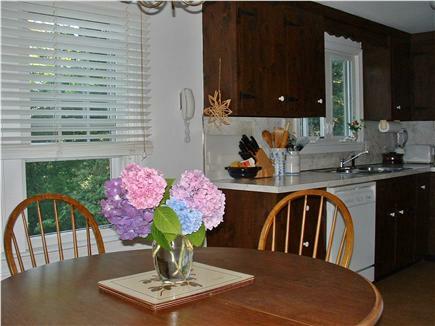 The house is located on a quiet street and close to all Brewster has to offer including bike/run trail, Nickerson Park, Ice cream, etc. 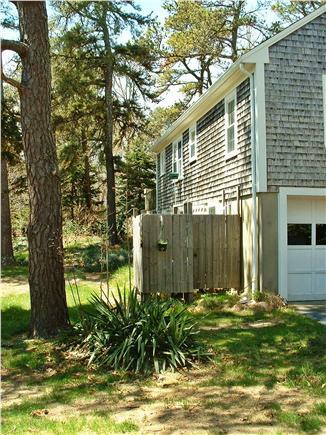 We love Brewster and were lucky to stumble across this rental which was affordable and clean and the rental process very easy. Thanks, Mary!